Some people are casual coffee drinkers, some are true coffee connoisseurs, and then there are those who might take coffee a bit too seriously: the coffee nerds. It’s Saturday afternoon, and you walk into your favourite coffee shop. The queue is long. It seems that things are moving a bit slower than usual today, and after a few minutes it becomes clear why. At the counter, a young man (with a beard, of course) is talking shop with the barista. He wants to know how hard the water is that they used in their cold brew. Meanwhile, just behind him, the eye-rolling starts. If you had to assign this young man a type, you would call him a “coffee nerd”. This species of coffee drinker develops a nervous eye twitch at the mere thought of instant coffee. But what exactly is a nerd? According to the Oxford English Dictionary, a nerd is defined as a “foolish or contemptible person who lacks social skills or is boringly studious”; however, the more common usage of the term nerd is generally positive – to describe people who are deeply interested in and enthusiastic about a specific topic. In the case a coffee nerd, the specific topic is, of course, coffee. The coffee nerd celebrates every single cup of his caffeinated elixir of life with an almost philosophical understanding. As he sips his coffee, swishing it around in his mouth as if he were at a wine tasting, he can detect the aromas of cloves, cedar wood, and sometimes even a hint of blackberry. In short, he’s a true flavour expert. The average coffee drinker is happy if they can taste whether or not the milk in their coffee has gone off. 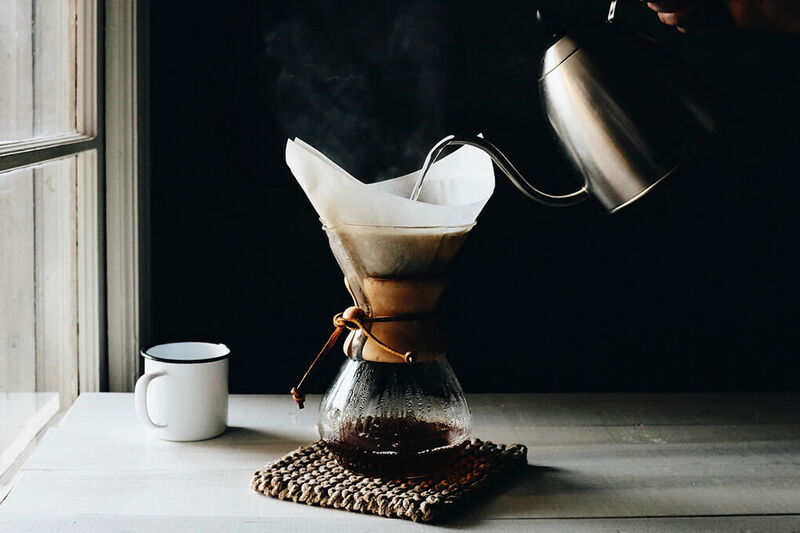 There are also a lot of things that amateurs can get wrong when preparing coffee. That’s why the coffee nerd is reluctant to drink coffee that he himself has not prepared at home using his own high-quality equipment. 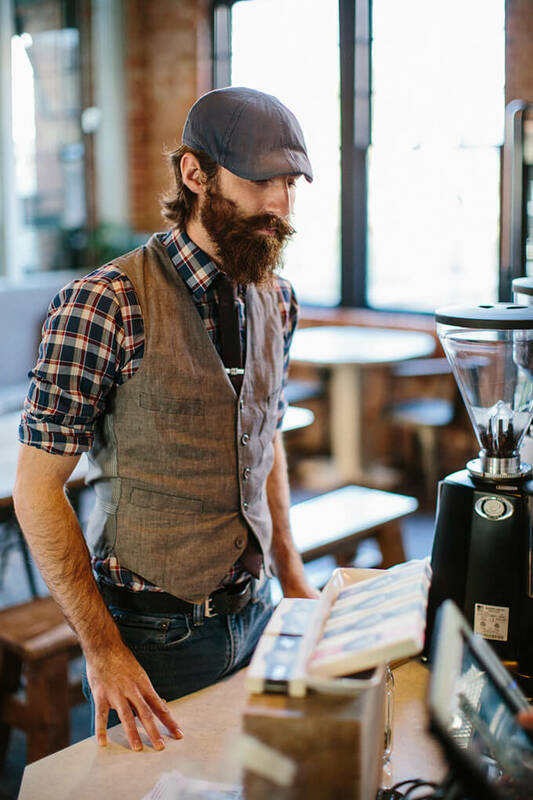 With his calibrated scale, thermometer and his hand grinder, which boldly protrudes from his jacket pocket, he is equipped to handle any coffee emergency. Another crucial aspect of proper coffee preparation is the water. Fortunately, the coffee nerd also happens to be a water expert. He will gladly to discuss with you at length the proper level of water hardness, the perfect temperature for infusion, and the right direction of rotation when meditatively pouring in the water as you brew. Obviously, the coffee nerd isn’t satisfied with just any old coffee. For him, only fair and sustainably grown beans that have been professional roasted and prepared pass the test. With all that in mind, our La Laguna coffees are the perfect match. “I really feel that the harvest from Huila is a lot more full-bodied this year than it was last year” – the coffee nerd has an almost uncanny knowledge of coffee plantations! He can tell you the best years for single origin coffee for nearly every individual hacienda in Colombia, and can deduce the seasonal weather variations at the coffee plantation based on the finish of his espresso. Now let’s head back to the coffee shop. The queue has now gotten even longer. 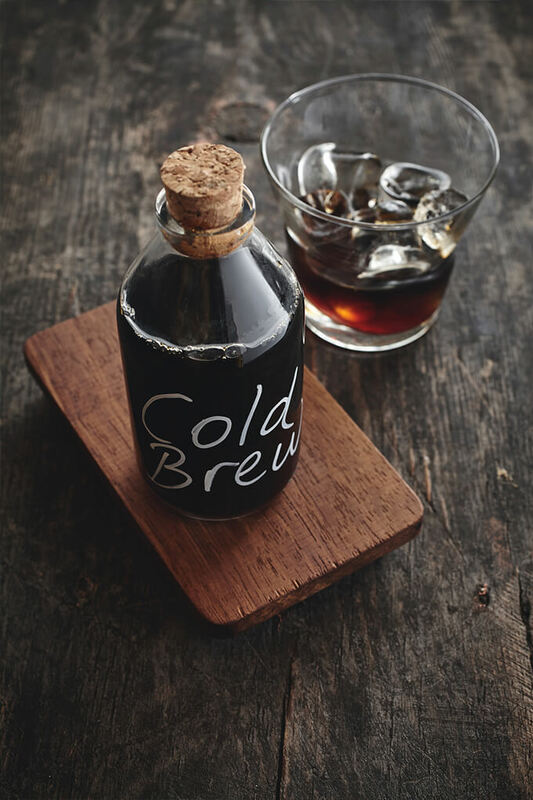 The coffee nerd finally tries his cold brew and quietly murmurs: “Honestly, I’d be better off making my own coffee.” It’s true – it takes something very special to meet this young man’s high standards. And yes, sometimes his know-it-all demeanour can be annoying, but we can all learn something from the coffee nerd! After all, it’s not every day that you come across someone with such an earnest passion for coffee and such extensive knowledge of the subject. And who knows? Maybe there’s a coffee nerd inside you, just waiting to get out? How can you spot him? His calibrated coffee scales fall out of his pocket from time to time. What happens when you drink coffee together? He slaps the sugar out of your hand. What can you learn from him? Quite a lot, actually! He will happily explain to you the differences between various roast profiles, grind levels and preparation methods. What’s the best way to deal with him? Let him talk. Listen a little. And never interfere with his coffee preparation.